Experience: Previous nursery /childcare experience desirable, a sound knowledge of the EYFS and the ability to work as a key person for a small group of children in your care. You will require the ability to work as a valued team member. Opportunity: to progress within your field (should this be an ambition) and within a career at Toybox grow to specialise across the full 0-5’s age range. Reward staff using a performance based pay scale to a current maximum of £1.80 per hour above your age related minimum wage. Ensure your Continual Professional Development (CPD) allows you to work at the levels required to benefit from the pay scales, to include supporting staff through higher level childcare qualifications/degrees/EYTS. Continue to be an excellent place to work ensuring 6 monthly performance reviews of both the staff and our nursery to ensure we are always achieving the best. Give 4 Weeks Paid Holiday plus Bank Holidays each year. The very best childcare practitioner / Early Years Educator in your current setting. Passionate and focused about providing the very best care & education for the children. Reliable, enthusiastic, lively, flexible and able to work as part of our busy team. Enthusiastic about working at an outstanding nursery to outstanding standards every day. Able to explain how & why you can make a difference every day to the children you will care for. You will need to undergo a new DBS/CRB prior to any employment & able to give two current referees. Contact: Please call 01234 860500 and ask to speak to the Manager for more information or email management@toyboxdenham.co.uk for any specific details. Application forms can be accessed via our website www.toyboxdenham.co.uk Please email your completed application form to this management email address. Qualifications: Level 3 in Childcare. Details: To work in our brand new baby suite coming soon we are looking for two new staff members to work together to provide an amazing home from home experience for our under 1s. Passionate and completely focused about providing the very best care & education for the children we look after. Able to show a clear DBS record and understands a new DBS/CRB will need to be done prior to any employment. Reward staff using a performance based pay scale ensuring the best staff at any level of qualification and experience are rewarded for delivering outstanding care & education. Ensure your Continual Professional Development (CPD) allows you to work at the levels required to benefit from the pay scales. Continue to be an excellent place to work and will hold frequent performance reviews of both the staff and our nursery to ensure we are always achieving the best. Provide a Pension Scheme (in advance of Auto-Enrollment) for you to pay into. 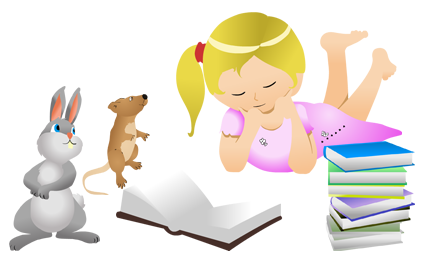 Provide a discount on fees for your own children under 5 years attending the nursery. Toybox is an equal ops employer and we follow a strict safeguarding protocol meaning all successful candidates will follow a thorough process including the taking of at least 2 references and must complete a full CRB/ DBS check.